Honestly, I am amazed that I have been able to make it this far with my life hacks. It has definitely been a fun journey, and I’ve loved being able to try lots of tips and tricks that I otherwise would not have done if it weren’t for this blog. Above, I have a video of pictures of life hacks that I’ve found. Some of them should look familiar! 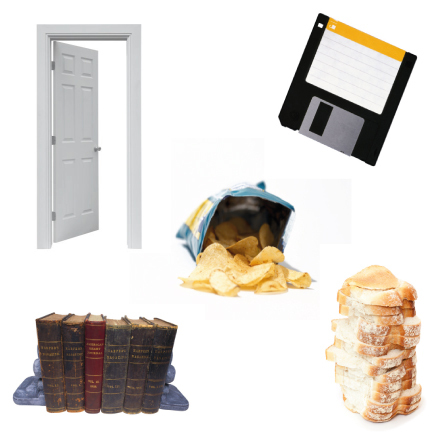 No, I am not going to make a door out of floppy discs, a bookend out of bread, or share a new recipe for a potato chip sandwich… (But if anyone finds a way to make any of those happen, I’d love to see pictures of that!) But these random objects are actually the source of useful life hacks!